¿Cómo se empieza a escribir? ¿Quién es un escritor? 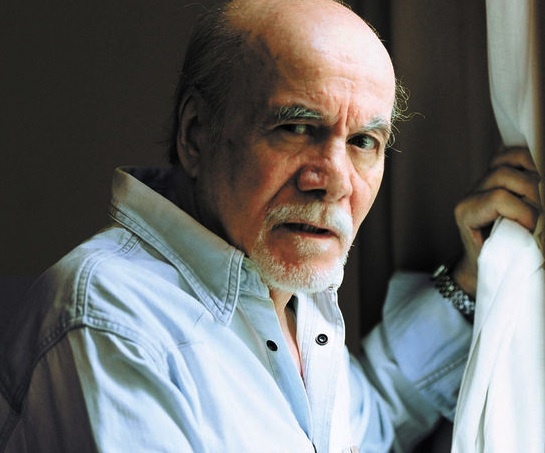 El argentino Abelardo Castillo, Premio Internacional de Autores Contemporáneos de la UNESCO, en su libro “Ser escritor” (Seix Barral), sostiene una postura tajante sobre los escritores y la poesía. El texto completo está publicado en “Ser escritor” de Abelardo Castillo (Editorial Seix Barral). Esta entrada fue escrita el Martes, 4/Dic/2012 y archivada en General. Puedes seguir las respuestas en esta entrada a través de RSS 2.0. Tanto los comentarios como los pings están actualmente cerrados. The subsequent time I read a weblog, I hope that it doesnt disappoint me as a lot as this one. I mean, I know it was my choice to read, however I truly thought youd have one thing attention-grabbing to say. All I hear is a bunch of whining about one thing that you could possibly fix if you werent too busy on the lookout for attention. There are certainly plenty of details like that to take into consideration. That could be a great level to deliver up. I supply the ideas above as basic inspiration but clearly there are questions like the one you bring up where an important thing might be working in sincere good faith. I don?t know if greatest practices have emerged around issues like that, but I’m positive that your job is clearly identified as a good game. Each girls and boys feel the impact of just a second抯 pleasure, for the rest of their lives. Can I simply say what a relief to search out someone who truly is aware of what theyre speaking about on the internet. You positively know tips on how to deliver a problem to mild and make it important. More individuals have to read this and perceive this facet of the story. I cant consider youre not more in style since you definitely have the gift. I have to point out my love for your kind-heartedness giving support to persons that really need guidance on this important matter. Your special dedication to getting the solution across appears to be definitely useful and has always helped professionals like me to arrive at their targets. The helpful suggestions implies this much a person like me and much more to my fellow workers. Thanks a lot; from all of us. Thank you for your whole hard work on this site. Debby take interest in conducting internet research and it is obvious why. Almost all know all concerning the compelling method you give precious guidance on the blog and cause participation from visitors on that situation plus our favorite girl is always discovering so much. Enjoy the remaining portion of the new year. Your conducting a glorious job. Howdy! I just wish to give an enormous thumbs up for the good information you might have right here on this post. I might be coming back to your blog for extra soon. Aw, this was a very nice post. In idea I would like to put in writing like this additionally ?taking time and actual effort to make a very good article?however what can I say?I procrastinate alot and in no way seem to get something done. This site is really a walk-via for the entire info you needed about this and didn抰 know who to ask. Glimpse right here, and also you抣l definitely uncover it. This site is mostly a walk-via for the entire info you needed about this and didn抰 know who to ask. Glimpse right here, and also you抣l positively uncover it. I was very pleased to seek out this internet-site.I needed to thanks for your time for this excellent learn!! I definitely having fun with each little little bit of it and I have you bookmarked to take a look at new stuff you weblog post. A lot of thanks for each of your hard work on this site. My mom loves doing internet research and it’s really obvious why. We all notice all concerning the dynamic method you provide sensible tactics by means of this blog and in addition cause participation from some other people about this issue and my daughter is undoubtedly discovering a great deal. Enjoy the rest of the new year. You have been carrying out a very good job. I intended to draft you the very small note so as to say thanks a lot the moment again for your personal exceptional things you have shared here. It’s so wonderfully generous with you to convey extensively just what many of us would’ve made available for an ebook to generate some dough on their own, certainly seeing that you could have tried it in the event you desired. Those tricks in addition served like a great way to fully grasp that other individuals have a similar desire the same as my very own to see whole lot more when considering this issue. I’m sure there are thousands of more pleasurable moments in the future for individuals who scan your website. I am usually to blogging and i really admire your content. The article has really peaks my interest. I’m going to bookmark your site and preserve checking for brand spanking new information. After research just a few of the weblog posts on your web site now, and I actually like your method of blogging. I bookmarked it to my bookmark web site record and will be checking again soon. Pls check out my site as well and let me know what you think. I抎 have to examine with you here. Which isn’t one thing I usually do! I enjoy studying a submit that can make folks think. Also, thanks for allowing me to comment! The next time I learn a blog, I hope that it doesnt disappoint me as a lot as this one. I mean, I do know it was my choice to read, however I truly thought youd have something fascinating to say. All I hear is a bunch of whining about one thing that you might fix if you happen to werent too busy looking for attention. After examine just a few of the weblog posts on your web site now, and I really like your manner of blogging. I bookmarked it to my bookmark website listing and can be checking back soon. Pls try my website online as effectively and let me know what you think. I want to get across my passion for your kind-heartedness in support of men who should have assistance with this one area. Your very own dedication to passing the message up and down ended up being rather interesting and have in every case allowed most people just like me to attain their goals. Your new insightful facts can mean a great deal a person like me and even further to my office colleagues. Thanks a lot; from each one of us. Thank you for all your effort on this website. My mum enjoys doing investigations and it’s really obvious why. My partner and i notice all relating to the powerful mode you render valuable guidelines via this web blog and in addition recommend contribution from others on the topic plus our favorite princess is now becoming educated a great deal. Have fun with the rest of the new year. You’re the one performing a really good job. I抎 need to verify with you here. Which is not one thing I often do! I take pleasure in reading a submit that will make people think. Also, thanks for permitting me to remark! Good post. I be taught one thing more difficult on totally different blogs everyday. It should always be stimulating to learn content from other writers and observe slightly one thing from their store. I抎 want to make use of some with the content material on my weblog whether you don抰 mind. Natually I抣l give you a hyperlink on your internet blog. Thanks for sharing. Spot on with this write-up, I really assume this website needs far more consideration. I抣l in all probability be once more to read way more, thanks for that info. Once I originally commented I clicked the -Notify me when new feedback are added- checkbox and now each time a comment is added I get four emails with the identical comment. Is there any way you possibly can take away me from that service? Thanks! My spouse and i have been very peaceful Chris could finish off his web research through your ideas he came across out of your web pages. It is now and again perplexing just to choose to be handing out key points which usually many others have been trying to sell. And we do understand we now have the website owner to thank because of that. Those illustrations you have made, the simple web site menu, the relationships you make it possible to instill – it is most overwhelming, and it is making our son in addition to us imagine that the situation is interesting, which is unbelievably indispensable. Thanks for all the pieces! I want to get across my respect for your generosity for people who really want help with that concept. Your special commitment to passing the message around was exceedingly good and have in every case enabled individuals much like me to reach their targets. Your own warm and friendly advice denotes a great deal to me and somewhat more to my colleagues. Warm regards; from all of us. Good post. I study one thing more challenging on completely different blogs everyday. It is going to all the time be stimulating to read content material from different writers and observe somewhat something from their store. I抎 desire to use some with the content material on my weblog whether you don抰 mind. Natually I抣l provide you with a hyperlink on your web blog. Thanks for sharing. I was very pleased to seek out this net-site.I wished to thanks to your time for this wonderful learn!! I definitely having fun with every little bit of it and I have you bookmarked to check out new stuff you blog post. I am usually to running a blog and i actually recognize your content. The article has really peaks my interest. I’m going to bookmark your website and preserve checking for brand new information. I simply desired to thank you so much yet again. I’m not certain what I could possibly have undertaken without the entire creative concepts contributed by you on such a theme. Completely was a real hard dilemma in my position, but being able to view your skilled form you resolved it made me to cry for joy. Now i’m grateful for your support and thus trust you know what a powerful job you are always carrying out educating many others through the use of a blog. Probably you have never encountered all of us. This is the correct blog for anybody who needs to seek out out about this topic. You realize so much its virtually hard to argue with you (not that I actually would need匟aHa). You definitely put a brand new spin on a subject thats been written about for years. Nice stuff, just great! Thanks so much for providing individuals with such a terrific possiblity to read in detail from here. It’s usually so fantastic and as well , stuffed with a great time for me personally and my office co-workers to visit your website minimum three times weekly to find out the latest guidance you have got. Of course, we’re actually happy with your surprising ideas you serve. Selected 3 areas in this posting are ultimately the most impressive I have had. A powerful share, I just given this onto a colleague who was doing just a little analysis on this. And he in actual fact bought me breakfast because I found it for him.. smile. So let me reword that: Thnx for the deal with! But yeah Thnkx for spending the time to debate this, I really feel strongly about it and love studying more on this topic. If attainable, as you turn into expertise, would you mind updating your blog with more particulars? It’s highly helpful for me. Large thumb up for this weblog submit!